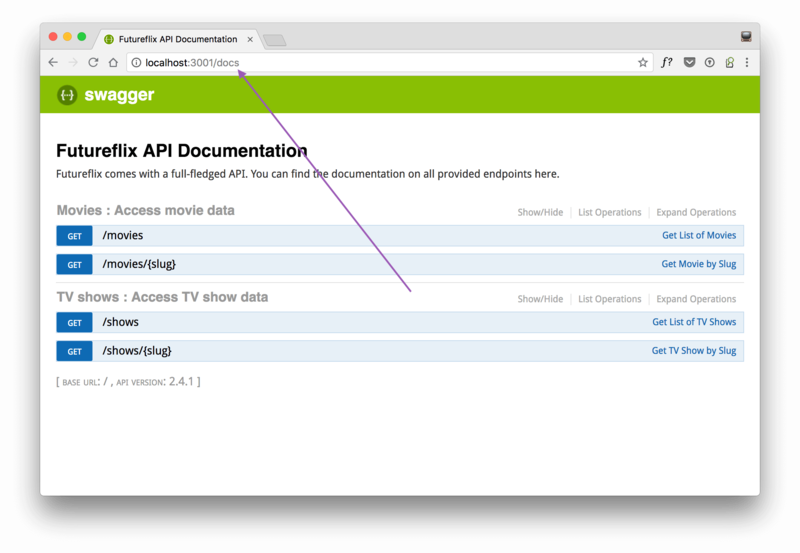 Your initial API documentation for Futureflix uses hapi-swagger to generate an endpoint overview from your project configuration. Besides the API documentation URL, you can tell hapi-swagger to use a specific base URL. This is useful to send requests from the docs against your API. You probably want different URLs in production and development.